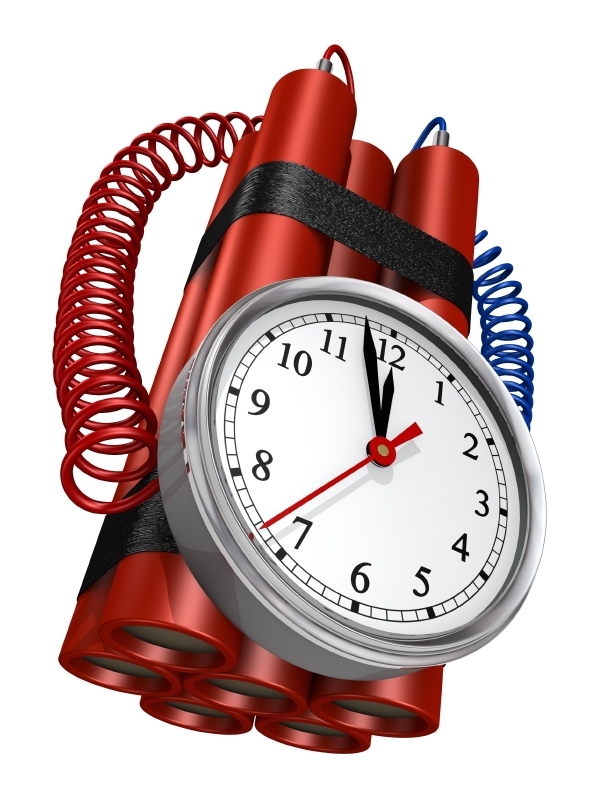 Is your business a ticking time bomb? Going back to a scenario I saw play out some years ago it demonstrates what can happen when you have the wrong people around you. This business owner was a few years into their business and had recruited some staff along the way. They included Admin 1, Salesperson 1 and Salesperson 2. When they first hired Admin 1 they were a life saver! The manager was so busy and didn’t have time for anything and hence they credit the administrator with their business success. Now the administrator feels “entitled”. They are getting paid more than they should be and feel indispensable to the business. This person knows everything about the business – sometimes more than the business owner. Now to Salesperson 1 and Salesperson 2. The manager gets along with Salesperson 1 really well and would consider them to be a friend. Only problem is this salesperson is not hitting their targets. Even though it has been going on for a few years it isn’t a big deal because Salesperson 2 is a star and making up for the short fall. The business owner is getting busier and has the requirement for another staff member –Admin 1 is screaming out for help. You recruit Admin 2. Then the trouble begins. Admin 1 is having problems delegating work to Admin 2. They feel like they have been taken down a peg because there is someone else in the office that has a good understanding of how things work and could possibly do things better. Admin 2’s suggestions are met with great resistance from Admin 1. The business owner respects Admin 2 for insights they bring and their suggestions for working in a more efficient manner. This puts the spotlight on Admin 1 who has been shown to be “looking busy” for all of these years. The office becomes an uncomfortable place to work. Admin 1 is not getting away with their entitled behavior anymore and eventually leaves. Admin 2 is now left with all the work. What to do? Find another staff member. The business owner turns to a recruitment firm yet decides it’s too expensive to outsource so they go about the recruitment exercise themselves. With their generic ad on Seek they get a measly response. Yet there is a candidate who applied who brings 15 years’ experience in a similar role. Indeed the business owner believes they must be the perfect fit. After a meeting they seem less impressive than they were on paper. The business owner takes up reference checks – which are great by the way – so without checking their initial instinct the manager decides they must be the best person. Being so busy and aware all the staff are stretched the manager thinks “it couldn’t possibly be any worse?” and so recruits Admin 3. How wrong the business owner was. Admin 3 was abrasive and refused training because they “knew everything”. What’s worse, clients start to fall away. The office is in disarray and the manager is left to fire them. Admin 2 is back to bearing the brunt of the workload as well as being in damage control with the company’s remaining clients. In amongst this morale is low. Superstar Salesperson 2 is finally sick of propping up the business and has also started under performing. As business suffers, the business owner lets Salesperson 1 go (which is long overdue). Within 18months the business has gone from one of promise and prospect to one that is back to where it started. Well not quite. The company’s reputation is now in tatters, financially the business owner is drained and lingering staff members are pondering other career options. It was most likely the first hiring decision. Think forward, Admin 1 was great when it was just you and them. How will your first hire integrate with incoming staff members and new ideas? Be honest with yourself – is hiring staff really your strong point? If not speaking to a recruitment firm is an option worth considering. Written by Harvest Recruitment Firm’s Geelong Recruitment Consultant, Leticia Hotez. If you are unsure what to do with your next hire give her a call and she would be happy to discuss outsourced recruitment with you, or other budget friendly alternatives to help your business prosper.